Abrasives: To Recycle or Not to Recycle | Atlantic Design, Inc.
A one-time shipment of recyclable abrasive is much more cost effective than multiple shipments of nonrecyclable. ALL PHOTOS: © ATLANTIC DESIGN, INC. When are recycled abrasives better than single-use disposable abrasives for a given surface preparation job? It seems a simple choice; however, like most other aspects of a coatings project, there are a number of critical factors to consider. Selecting the appropriate abrasive system can make a big difference to the success of a coatings project. Typically, non-metal abrasives are not recyclable and are purchased for a single use and then disposed of with the old coating and other waste. Alternatively, metal abrasives can be used then separated from the blasted coating debris to be reused multiple times without further contributing to the waste stream of a project. A particular project’s parameters might make recycling of non-magnetic — instead of metallic — abrasive a more environmental and economical solution. Understanding the fundamentals of abrasive recycling, what abrasives can be recycled and the associated equipment it requires can help identify the best abrasive blasting and recovery system for a particular project’s needs. When considering recyclable abrasives, first determine if recycling is even practical for the intended project. Damp abrasive that has gotten lightly wet but is not standing in water can be recycled; however, wet grit cannot be recycled directly from water. In some instances, the submerged grit can be reclaimed, drained, and recycled as a damp abrasive. The type of coating being removed in recoat projects is another factor. Coatings that are sticky or oily can adhere to the abrasive particles and cannot be removed by the reclamation process, thereby contaminating the next substrate being blasted. This type of application is not right for recyclable abrasives. They are also not appropriate for coatings that are not friable or that have to be removed by slowly eating away the existing coating. Logistics and accessibility are two more important considerations for determining the best abrasive system for a particular project. For a job that requires long-distance shipping of the abrasive, a one-time shipment of recyclable abrasive may be much more cost-effective than multiple shipments of non-recyclable — depending on the job’s duration. Savings are multiplied if the waste also has to be transported back for disposal. The better the recycling, the smaller amount of abrasive required and waste produced. Quality steel abrasives can be recycled hundreds of cycles and will deliver a consistent surface preparation. For projects that allow for steel grit, the answer to whether recyclable abrasives should be used is often straight forward. Barring circumstances that restrict or put limitations on steel grit, as explained above, recyclable abrasives will usually yield the lowest cost per square foot of substrate to be blasted. This is not a hard-and-fast rule for every circumstance, but it certainly holds true for most applications. Quality steel abrasives can be recycled hundreds of cycles and will deliver a uniform anchor pattern and consistent surface preparation, which can reduce blast time and coatings costs. For projects better suited to certain non-steel abrasives, such as recyclable garnet, aluminum oxide and Starblast, recycling can also be environmentally and economically attractive. Typically, these abrasives can only be blasted two or three times, but this can be enough to make recyclable preferable to single-use abrasive. Not only can the total project abrasive consumption be reduced by up to 50 percent (sometimes more), but the associated delivery and disposal costs are greatly reduced. Also to consider: the handling cost to load the abrasive into the equipment for each blast. 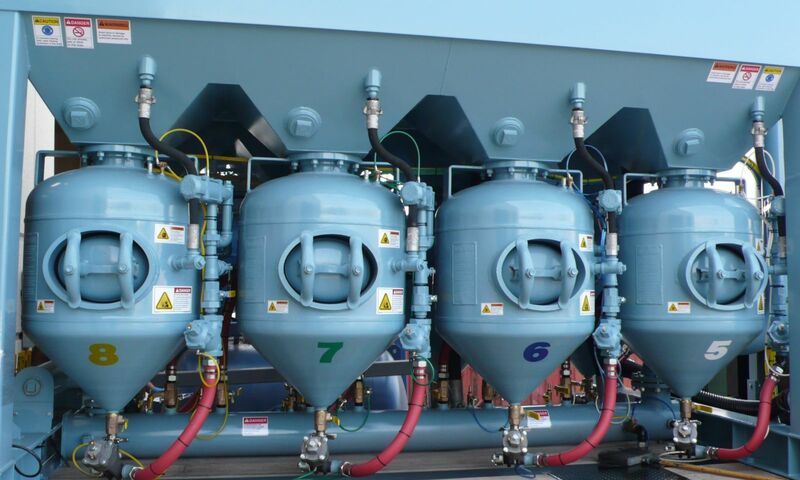 Certain procedures must be followed, such as introducing new blast media with each use to keep the particle size consistent throughout the project. Abrasive recycling equipment is another factor in the cost-effectiveness of the abrasive being used. Choosing the right equipment for the job is as crucial as is choosing the right abrasive for the equipment. The equipment comes in different sizes and styles and uses different methods for recycling. These can range from large systems supporting many blasters to smaller units that work individually with single blasters. The type of reclamation systems vary — from mechanical screw conveyors, belt conveyors and other mechanical devices to pneumatic vacuum systems to other methods. Vacuum recovery is the most popular for portable equipment because of its versatility. It can be configured to work with most any job — from bridges to marine yards to water tanks. Along with the air blasting system, a typical recycler will include a vacuum recovery system and a grit reconditioning system. These will be mounted in a compact and convenient skid or trailer system for easier moving and setup. Some recyclers recycle steel grit only, but others can recycle steel grit as well as other non-magnetic abrasives with minimal setup time. These different types of recyclers are discussed at PaintSquare.com: “10 Questions to Ask Before Choosing an Abrasive Recycling Unit” (sponsored). Reading the article before purchasing or renting any abrasive recycling system is highly recommended. Choosing the right equipment for the job is as crucial as choosing the right abrasive for the equipment. While other functions of a coating project are simply expenditures, recyclable abrasive use offers potential savings — on shipping, handling, disposal and other associated costs — and a unique return on investment. If the recycling system automatically reloads the abrasive into the blast hopper, that further reduces labor costs — not to mention the dramatic reduction in environmental impact with less blast waste. Recyclable abrasive is a significant initial investment, but the overall costs associated with blasting will be lower compared with the regular use of non-recyclable abrasive. 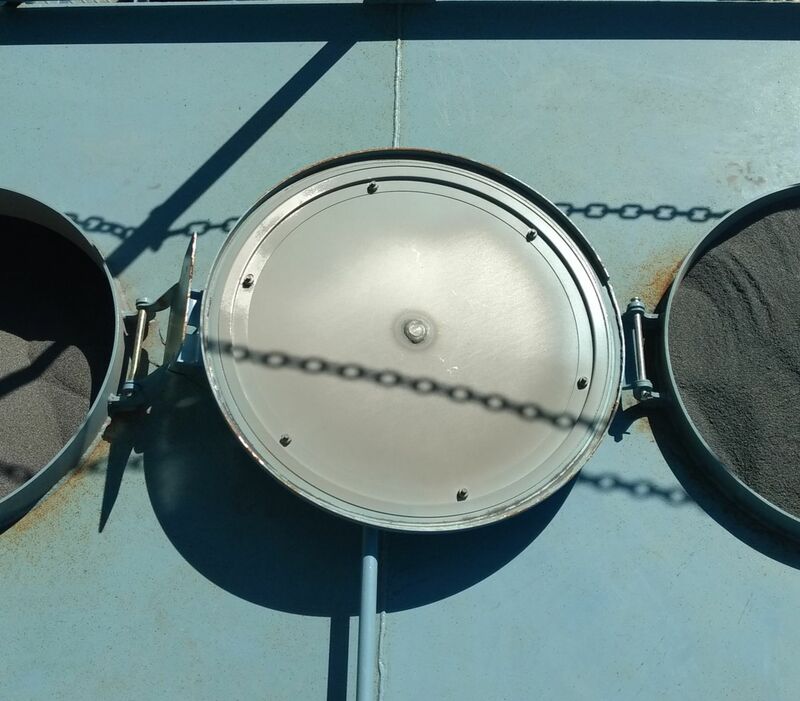 With proper preparation, abrasive recycling can offer significant advantages over single-use abrasive blasting, including enhanced safety, more uniform blasting, cost savings and reduced environmental impact. If careful attention is paid when working with recyclable abrasive, then safe, successful and economical blast projects are assured.